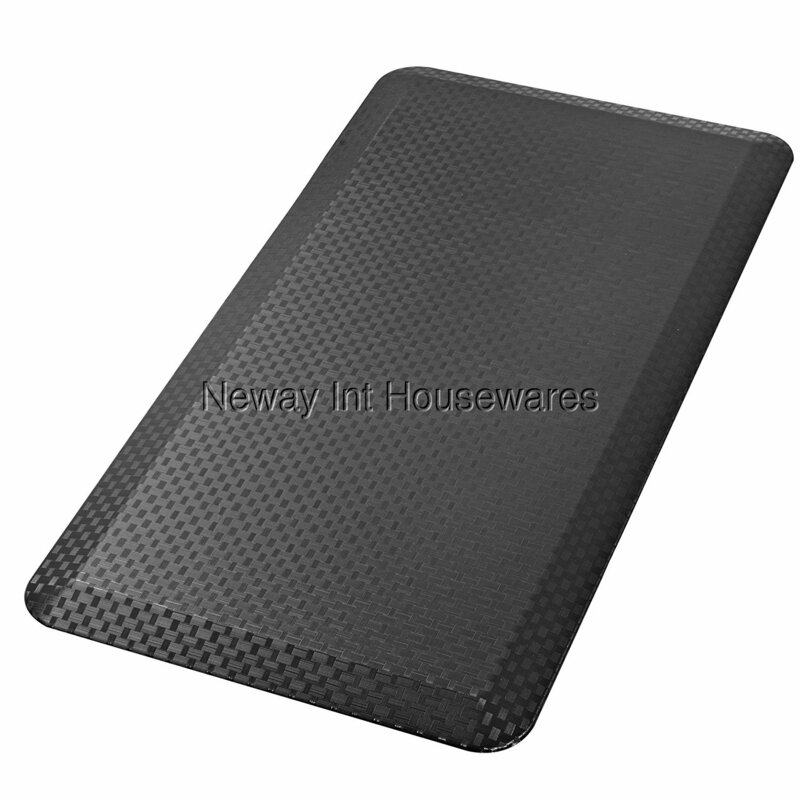 ​The Cook N Home Anti-Fatigue Comfort Mat, 39 x 20", Woven, Black, is made of 3/4 inch thick foam that is extra soft with a firm supportive base. The mat reduces fatigue and stress in the kitchen and other rooms. Relieves foot, knee, and back pain. Has a 20-degree beveled edge low-profile design to help prevent tripping. The nonslip back helps keep the mat in place and does not curl. High quality materials with no chemical smell and environment-safe. Constructed of high density polyurethane that is durable and flame retardant. Stain-resistant, wipe with damp cloth or vacuum to clean.